According to the Food and Drug Administration, there are approximately 36 million Americans who battle seasonal allergy symptoms. Watery and itchy eyes, a runny nose, and nasal congestion are common seasonal allergy symptoms that can last for weeks at a time. In the case of seasonal allergies (also known as hay fever or allergic rhinitis), the body mistakenly assumes the allergen, such as pollen is bacteria, so your immune system releases a chemical called histamine. It’s the histamine that causes your symptoms and also why over-the-counter medications for seasonal allergy symptoms are called antihistamines. Seasonal allergies symptoms are felt year-round, depending on the season. In Spring, trees, particularly birch trees, produce pollen in record quantities. Summer is the season for grass pollen; roughly 90% of hay fever sufferers are affected by them. Autumn brings ragweed season. Winter quiets the outdoor allergens, but allergies to pet dander, dust mites, and other indoor allergens usually increase. But if allergy season is year-long, how do I know if it’s allergies? Just a Cold or Seasonal Allergy Symptoms? When seasonal allergy symptoms become impossible to live with, even with over-the-counter antihistamines, drop by your neighborhood FastMed Urgent Care walk-in clinic. Medical professionals will evaluate the severity of your symptoms and make recommendations. 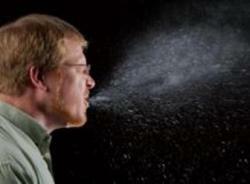 Nasal steroids, which can be obtained only by prescription, are the most effective treatments for allergic rhinitis. For severe allergies, your provider may recommend combination treatments, such as nasal sprays, eye drops, and steroids. For long term issues or serious allergic reactions, talk with your FastMed medical provider about whether you are a good candidate for allergy shots.